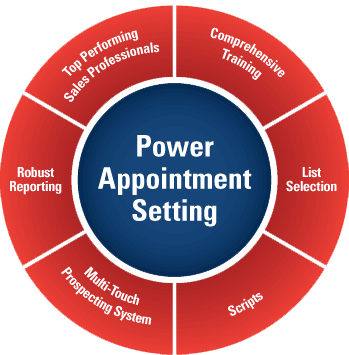 The founders of Power Appointment Setting have over 30 years of experience in the sales and marketing field. We understand the challenges presented by direct mail and traditional advertising approaches, and more importantly the poor return on investment these methods represent. Our clients are satisfied with our services because we set quality appointments with C-Level decision makers. These meetings lead to a solid return on their investment. We recently closed a 16 unit transaction; a $400K transaction from one of your appointments and have a number more in our pipeline. I definitely plan on using Mike's services in the future.